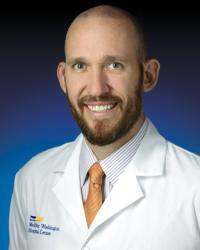 David Hampton, MD, is an orthopaedic trauma surgeon at MedStar Washington Hospital Center. As an orthopaedic traumatologist, Dr. Hampton specializes in the diagnosis, analysis, and treatment of fractures of the upper and lower extremities as well as fractures of the joints, including pelvic and acetabular fractures, and infections or deformities that can arise as a result of a traumatic injury. Dr. Hampton’s treatment methods involve evaluating each fracture alongside the needs of each individual patient. No fracture is the same and the correct treatment plan for any life-altering injury will evaluate the goals for the patient and how best to meet those goals. In the case of surgery, Dr. Hampton focuses on attaining early range of motion with a focus on achieving a functional outcome for patients. His clinical interests include pelvic fractures, acetabular fractures, non-union fractures, and arthroplasty. Dr. Hampton received his medical degree from Georgetown University School of Medicine before completing a five-year residency in orthopaedic surgery at the Albert Einstein Medical Center, where he served as Chief Resident. He then joined Cedars-Sinai​ ​Medical​ Center​ in Los Angeles, California for a specialty fellowship in orthopaedic trauma. Prior to joining MedStar, Dr. Hampton worked at the Rothman​ Institute in Philadelphia. MedStar Washington Hospital Center is the Washington, DC region’s referral center for mass trauma and multiple trauma incidents. Dr. Hampton is passionate about treating more patients with high acuity complex fractures in addition to exploring cutting-edge technologies for the treatment of complex fractures. He hopes to bring these technologies to MedStar Washington Hospital Center to offer advanced treatment options for patients with traumatic injuries. Dr. Hampton is accepting referral patients for all orthopaedic issues relating to trauma, nonunions, and deformities, ranging from the most simple, to the most complex cases. When not in the trauma center, Dr. Hampton enjoys being outdoors. He is an avid hiker, mountain climber, and amateur photographer who enjoys backpacking through America’s national parks.